Next week, Monday, August 21th find your spot and check it out about this unique spectacle in Vancouver! 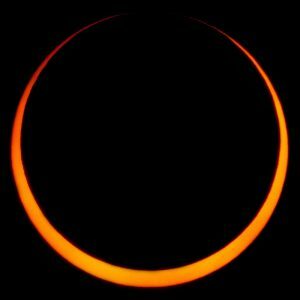 Solar Eclipse happens when the New Moon moves between the Sun and Earth, blocking out the Sun’s rays and casting a shadow on parts of Earth. The website www.vancourier.com selected 4 great places to check the solar eclipse in Vancouver, BC. Science World has partnered with the Royal Astronomical Society of Canada to offer a free viewing party that runs all day long. Running from 9 a.m. till noon, the event will include eclipse-themed science activities, a viewing party and demonstrations. Eclipse viewers will be available while supplies last. Live coverage of the eclipse will also take place in the Science Theatre from 10 a.m. until 5 p.m. The UBC Astronomy Club is hosting its gathering at Robson Square from 9:10 until 11:37 a.m. The club suggests scopes and safety goggles will be available for all attendees. UBC students and profs will convene at the Department of Physics and Astronomy from 9:30 a.m. until 11:30 a.m.
Eclipse viewers and telescopes will be on offer, along with a live streaming and various presentations in the Welcome Centre at the Robert H Lee Alumni Centre. Find info on Facebook at www.facebook.com/events/710231359163637. The H.R. MacMillan Space Centre’s event sounds like a doozy. Running from 8:45 a.m. until noon, the by-donation party will include solar telescopes, live streams, sun projections and solar eclipse glasses. During and after the viewing, the Space Centre will be open for special, eclipse-themed shows and activities. Regular rates apply to shows and activities in the main building. Details are online at spacecentre.ca/solar-eclipse. The partial eclipse will begin in Vancouver at 9:10 a.m., reach its maximum at 10:21 a.m. and end at 11:37 a.m.